A huge well done and thank you to the very talented singers, guitarists, drummers, string players, pianist, flautist and accordion players who performed in this afternoon's epic concert. The level of music-making was extremely high and they should all be very proud of themselves. Please remember to bring your orchestra forms to Miss Kropman by Friday so that we can create yet another brilliant group in September! Please enter the password 'music' to watch this video. 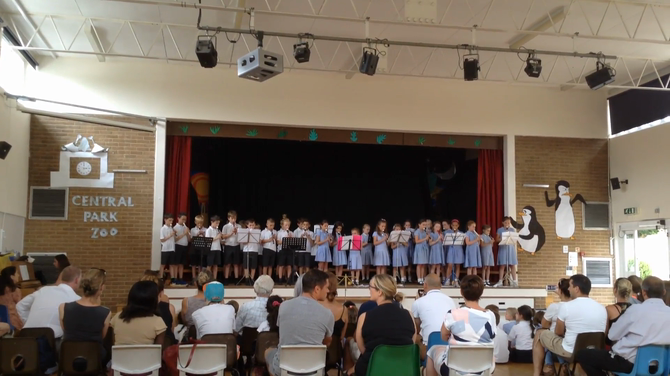 On Tuesday afternoon, Onyx took to the stage to showcase their incredible recorder playing! Performing to an audience of LKS2 and their families, Onyx played a number of pieces that they have enjoyed this year, such as Rover, Big Kite, Jog Along Jason and Selfish Sharks. They also demonstrated impressive skill when playing more complex pieces, including London's Burning, Old MacDonald, Curtain Raiser and Movie Buster. Many thanks to all of the parents that came to support the children - we hope you enjoyed the show! Thank you to the choir members who sang at Village Day on Saturday. You were an amazing start to the afternoon and Miss Kropman has received some very gushing reviews! Particularly well done to the Year 6 soloists (Anastasia, Shari, Laura, Zara and Abi) for 'Why We Sing', who performed their verse beautifully. 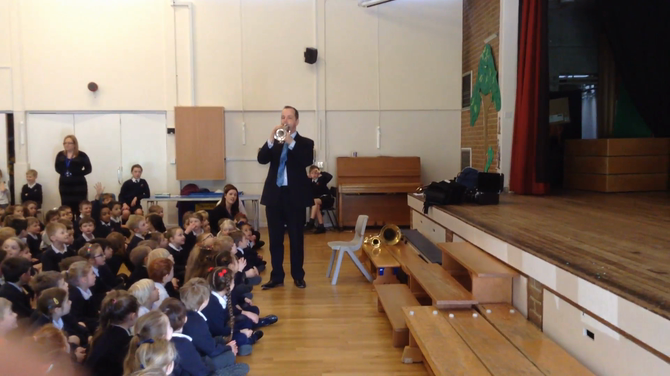 On Thursday 22nd March, we were treated to an assembly led by Mr Patterson, who will start teaching brass at school next term. We listened to him play the trumpet, cornet, baritone and trombone, whilst some of us were lucky enough to have a go ourselves! 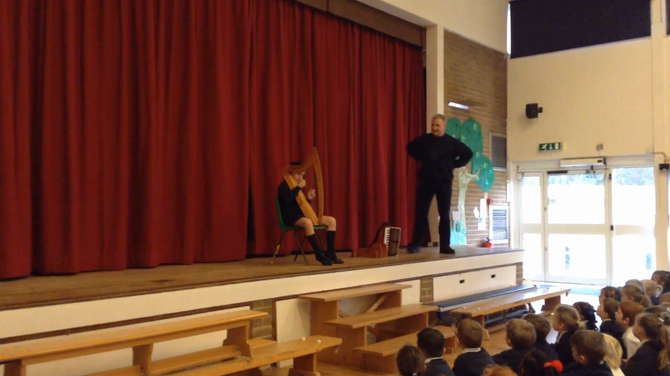 On Thursday 15th March, Ava and Rhianna’s dad kindly offered to come into school to lead an assembly to celebrate St Patrick’s Day (which is on the 17th March). In addition to talking to us about St Patrick, Mr Morgan and Ava also introduced us to a number of Irish instruments. 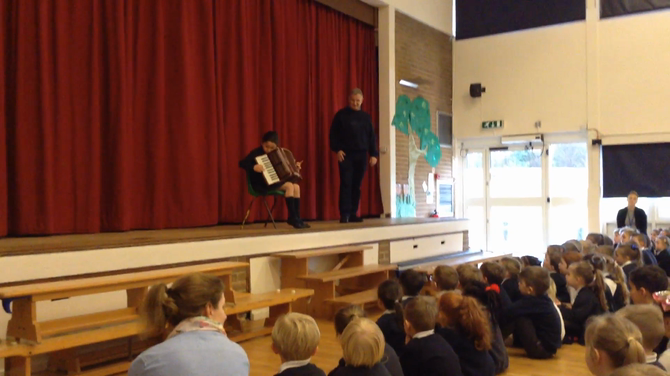 Ava impressed us with her tin whistle, accordion and Celtic harp performances, whilst Mr Morgan also demonstrated a complex accordion piece which we struggled to clap along to as he increased the tempo! Mr Morgan and Ava are extremely talented musicians and we were very lucky to have watched them perform – thank you to both of them! On Sunday 11th March, our Year 5 and 6 choir members travelled to London to perform in the Hertfordshire Schools’ Gala. 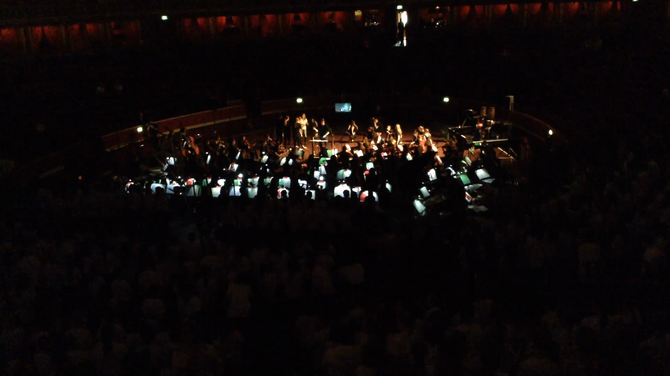 This took place at the Royal Albert Hall, one of the most iconic performance venues in the world. The concert included the most talented singers, instrumentalists and dancers from schools within Hertfordshire, and included a wide repertoire of pieces such as Praise and The Final Countdown. Most exciting, however, was the premiere of If I Had Wings by Will Todd, which had been commissioned especially for the event. This was a mini-musical based on the Greek myth, Icarus. The lyrics and narration for this were written by the famous poet and author Michael Rosen, who we met outside! Our choir sang brilliantly and contributed superbly to what was an incredible show. Miss Kropman would like to thank all of the children who took part; they should be very proud of themselves! 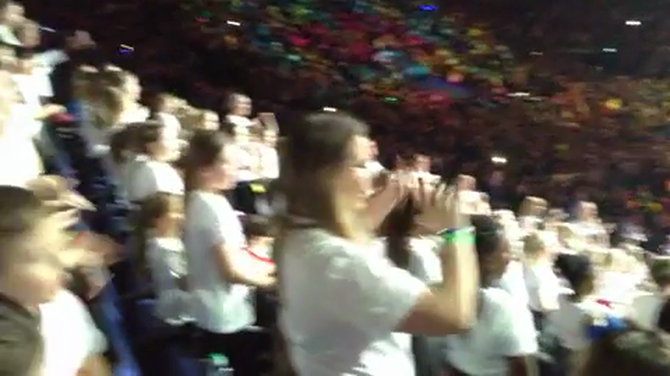 Choir perform with Young Voices at the O2! On Monday 5th February, fifty of our most talented singers from Key Stage 2 travelled to London’s iconic O2 Arena to perform in the Young Voices concert to a sell-out crowd of 20,000 people! After a full term of rehearsals at school, our choir had prepared fourteen fantastic songs and medleys (many including awesome dance routines) and were very excited to share these with family and friends. We arrived at the O2 at 12.30pm and, after a quick lunch break, got straight into rehearsing with the other schools and band. We especially loved singing with The Magnets, Alfie Sheard and Natalie Williams, who were the Young Voices special guests. 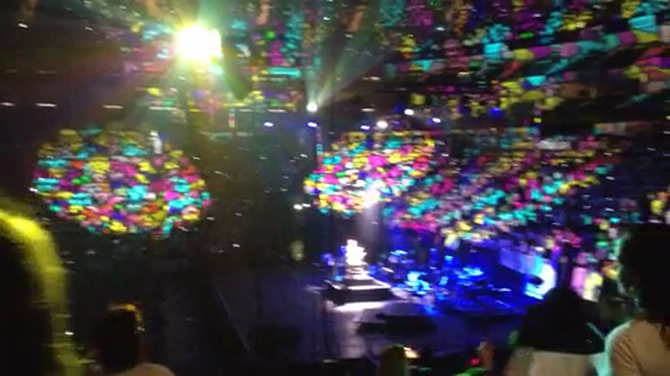 The concert began at 7pm and was a dazzling array of wonderful singing, enthusiastic dancing and exciting lighting. Every single choir member performed brilliantly and Miss Kropman could not be more proud of them. Thank you very much to all of the staff that accompanied us on the trip and to all of the parents for your incredible support! On Friday 26th January, nineteen talented musicians from Brookmans Park travelled to Hertford to spend the day at Haileybury College. We took part in a fantastic day of music-making, where, along with ten other schools, we formed an orchestra. The morning consisted of sectional rehearsals, which were followed by lunch in the school's dining room, where scenes from Harry Potter had been filmed! We then got the opportunity to take part in a pilates session before coming together as a full orchestra to rehearse throughout the afternoon. 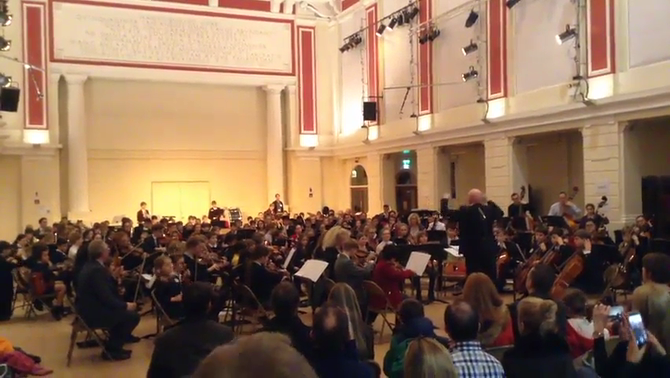 At the end of the day, family and friends were invited to watch the concert, where we performed pieces such as Dvorak's 'New World Symphony' and Sibelius' 'Finlandia'. The standard was truly outstanding and Miss Kropman could not have been prouder of the effort, progress and behaviour of all of our children.